We would like to introduce you to some of the horses that have been trained and competed by Lucy, Serena and David Pincus. Many of our horses have been competed or bought by students and there are currently 40 Sheepcote horses registered with British Dressage. Sheepcote Diorissima, owened and competed by Serena Pincus. 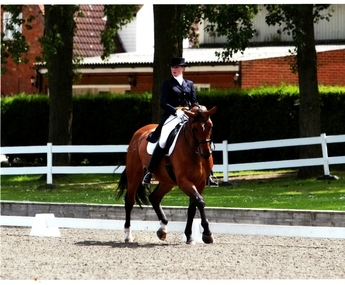 Diorissima was lent to Emma Leech to compete at FEI Young Riders.